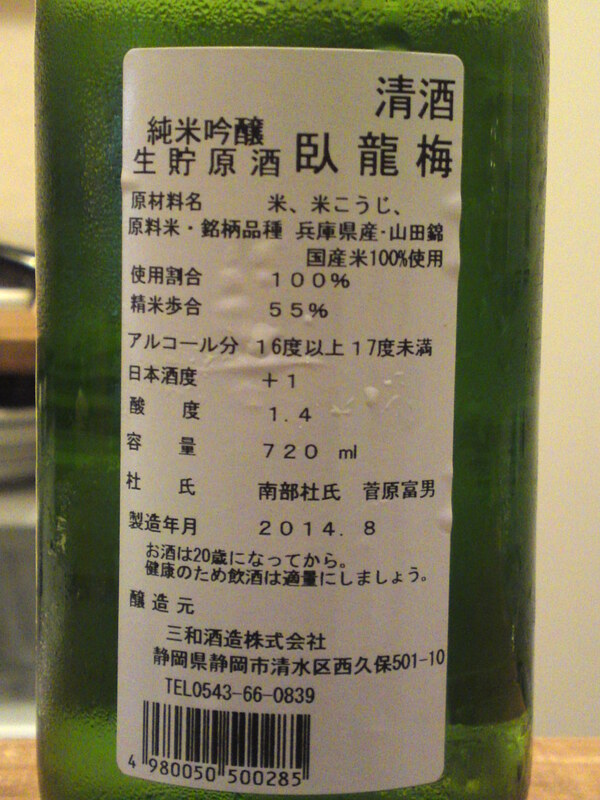 Although cheaper than a junmai/sake not blended with pure rice alcohol, the blending of a honjozo is actually no easy matter. 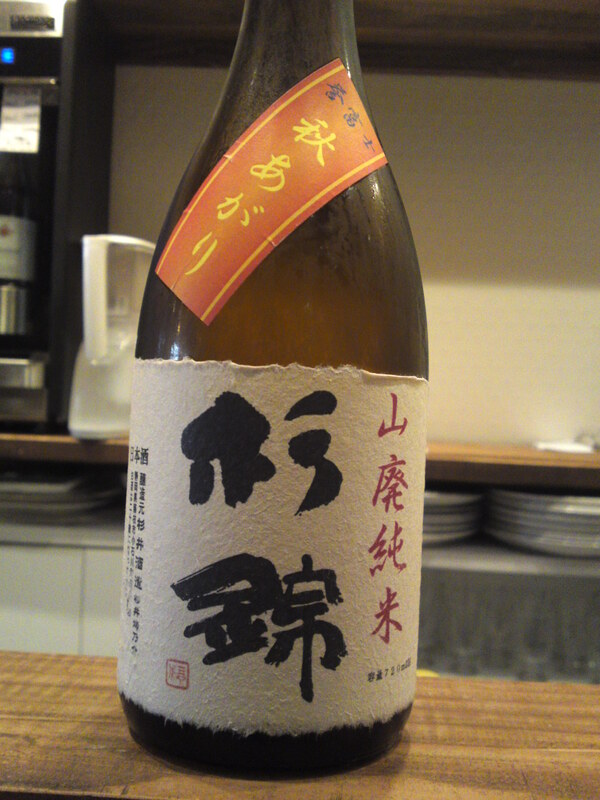 And it is even rare to find it in its genshu state, that is blended with pure water to lower the alcohol level! These days Hatsukame Brewery puts a small red circle called “maru” in memory of a beloved cat of the same name! Taste: very dry and fruity attack backed by beautiful acidity. After a strong alcohol appearance subtly slides onto a sweet and fruity note. Very elegant for a honjozo. Overall: Would make for a superb aperitif but actually marries beautifully with any food, including meat and heavy izakaya fare. For lovers of strong but subtle sake! 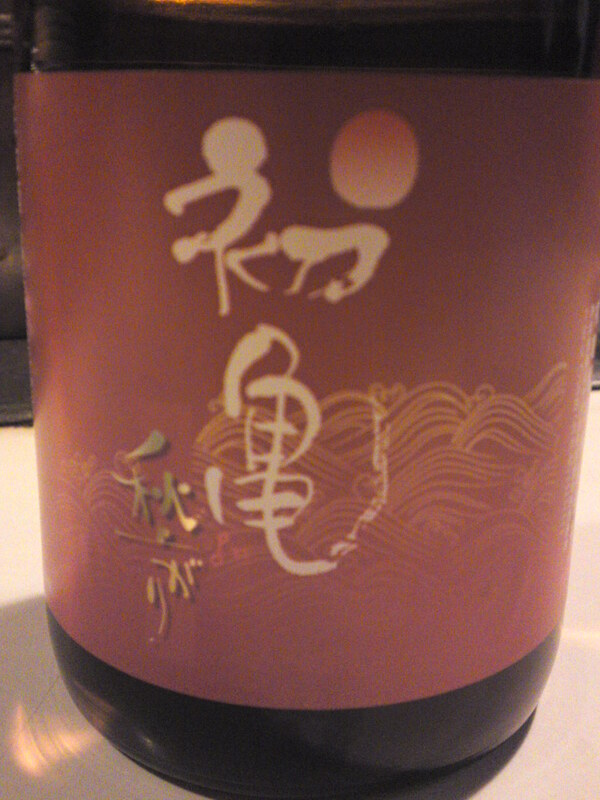 I finally had the chance to taste an old favorite of mine by Takashima Brewery in Numazu City. Owner/Master Brewer Kazutaka Takashima uses this label to advertise the fact that Shizuoka Prefecture produces the greatest number of natural edible seaweed in Japan! 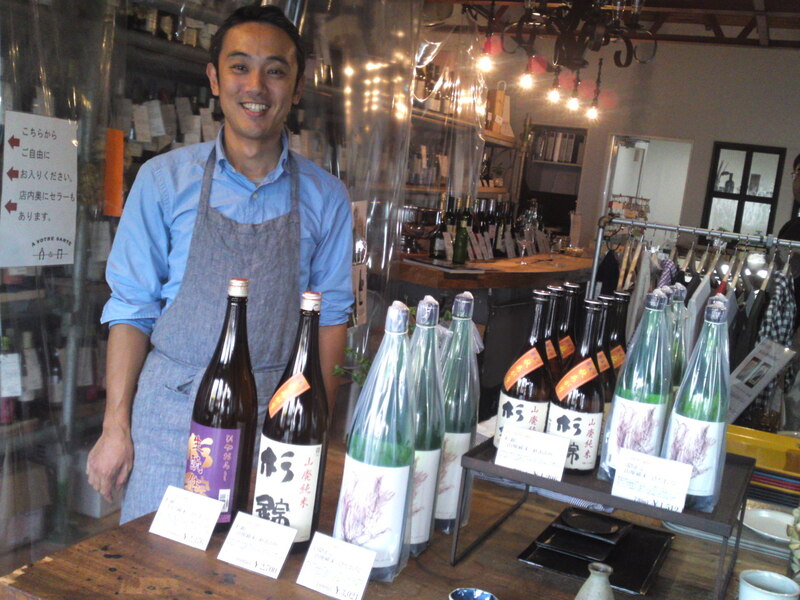 This time I conducted this tasting at A Votre Sante Wine, Sake and multi store shop in Aoi Ku, Shozuoka City! As it is a standing bar it is the perfect place for a tasting! The brew made for another long name! 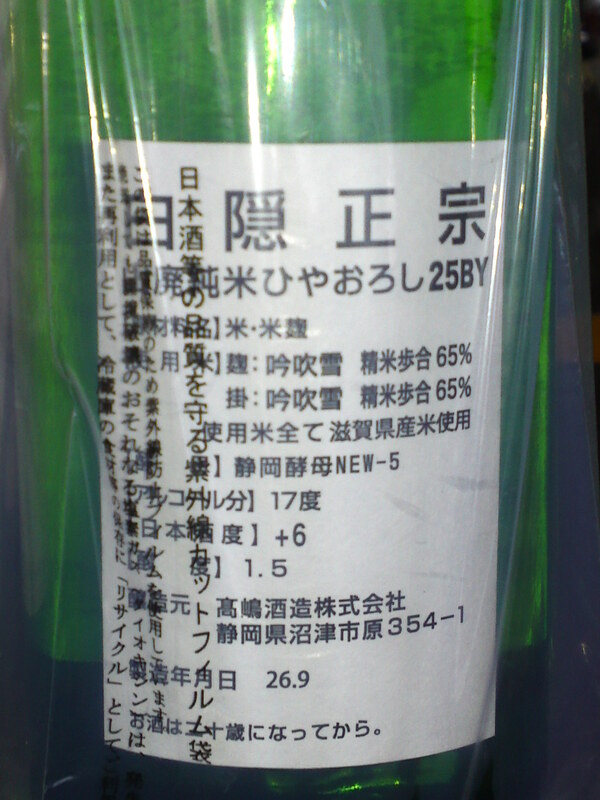 Hakuin Masamune Yamahai Junmai (No pure alcohol blended in) Hiyaoroshi (pasteurized only once) Genshu (No water blended in)! 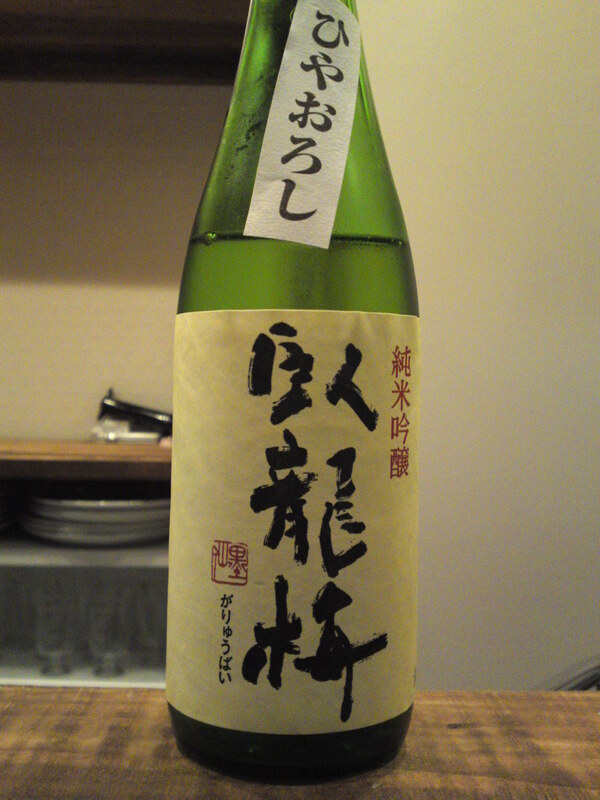 Taste: very assertive and fruity attack backed up with puissant junmai petillant and beautiful alcohol. Lingers on for a while warming up the palate before leaving on a drier and even deeper note with strong hints of roasted coffee beans. Tends to show more facets with following sips. 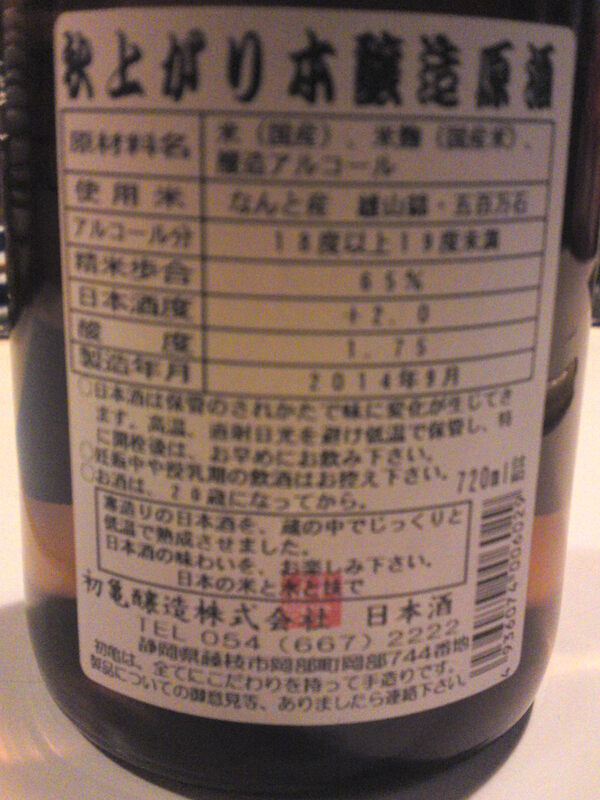 Overall: I didn’t taste this sake with any food, and it is probably for the best. 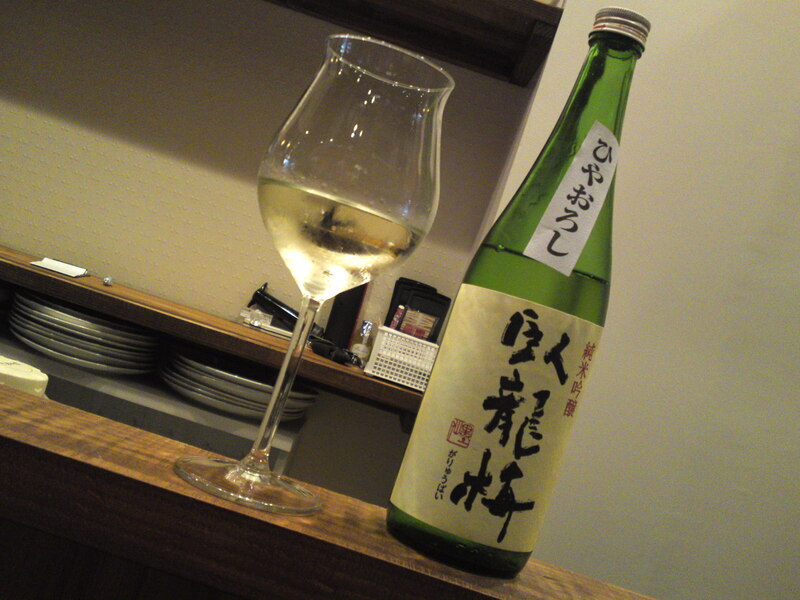 A great sake with a character rarely found in Shizuoka Prefecture. Makes for the perfect aperitif, but I suspect it would really enjoyable with cheese or pork meats! Would definitely perform better than many vaunted wines. Sanwa Brewery in Shimizu Ku, Shizuoka City, has produced this famous brand for some time. The word “Garyubai” actually for the name of celebrated garden inside a temple in Okitsu, Shimizu Ku! Sanwa Brewery is arguably the first brewery in Shizuoka Prefecture to put its “Hiyaoroshi/pasteurized only once” on the market in August! 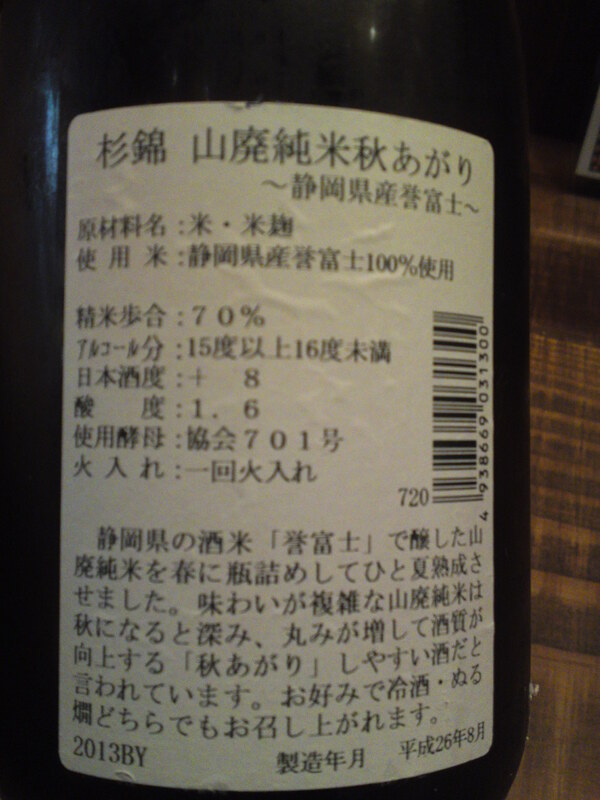 At 16~17 degrees of alcohol, it can considered a “genshu/no water added”, making it an unaltered sake since it is also a junmai/no pure rice alcohol added! 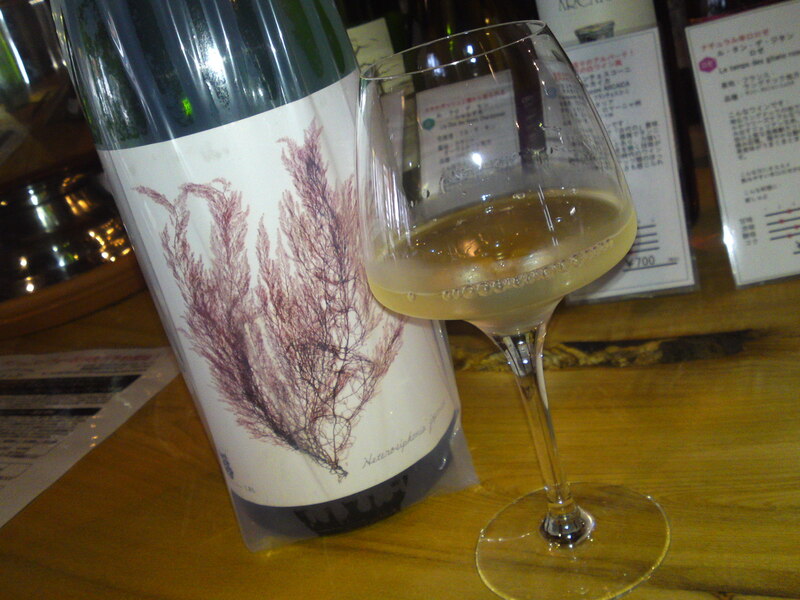 Incidentally, the tasting was conducted at la Sommeliere Wine & Sake Bar in Miyuki Cho, Aoi Ku, Shizuoka City! Lingers for a while ending with pleasant acidity. Becomes slightly sweeter with food with dark chocolate and coffee beans making an appearance. Marries beautifully with any food. Overall: Elegant for such a strong alcohol sake. Surprisingly drier than expected. Beautiful on its own although at its best with food. I tasted it with a French Croque-Monsieur for a great marriage. It jut proves that great sake holds its own to any great wine!